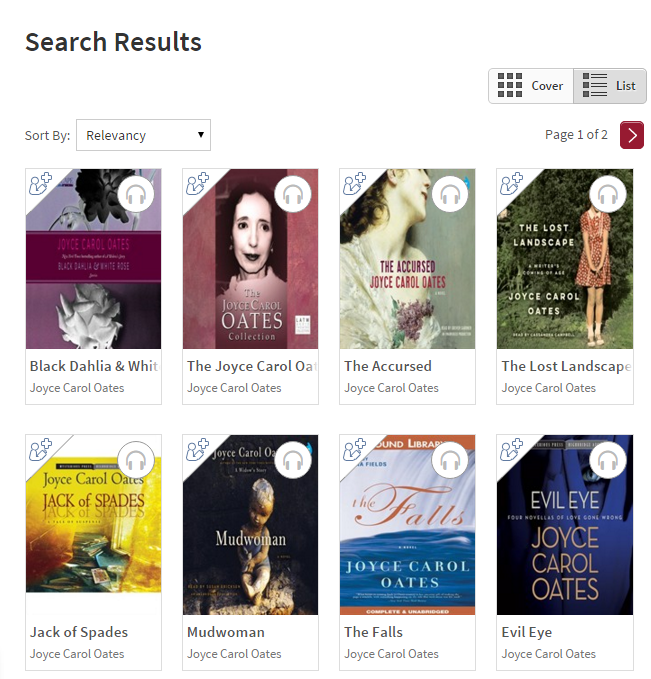 The University of Denver Libraries has started collecting downloadable audiobooks via Overdrive. 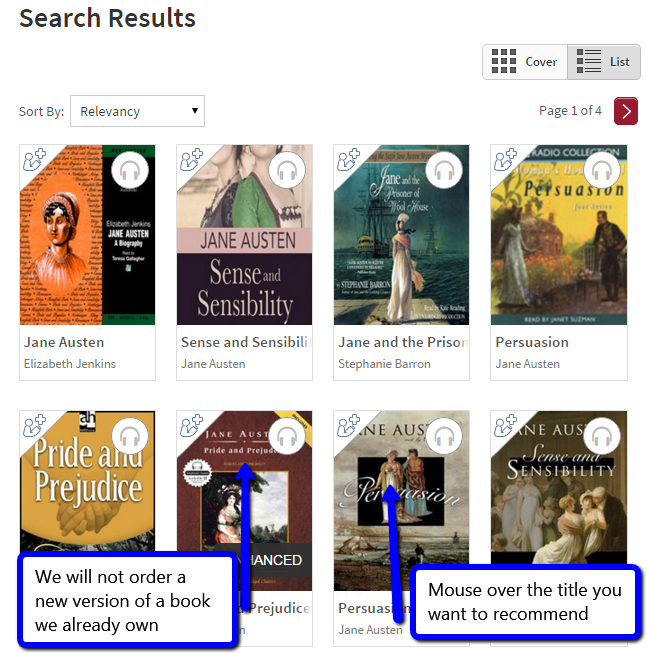 We have a small collection of 100 titles to start, but the collection will be built based upon recommendations from DU faculty, students, staff, and alumni. 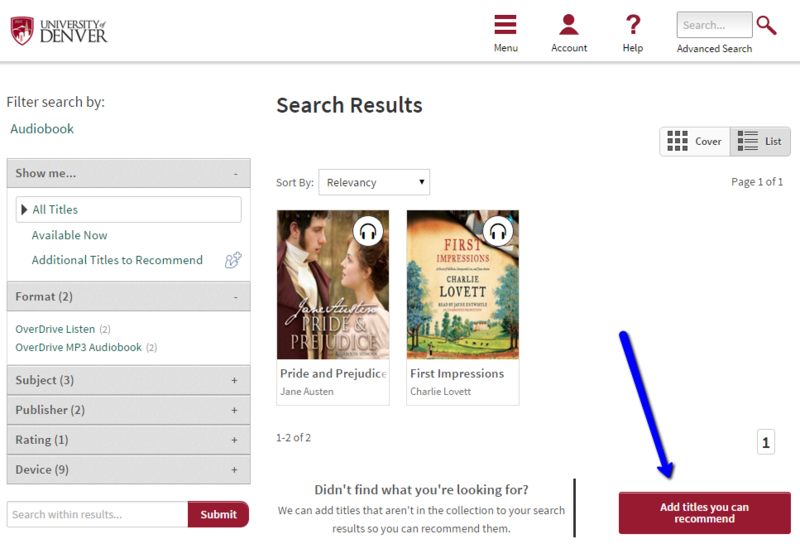 You will need a valid DU ID and passcode to access the collection and to make recommendations. NOTE: Each patron is limited to THREE recommendations a month, and please note the types of publications we WILL NOT purchase listed at the end of this blog. 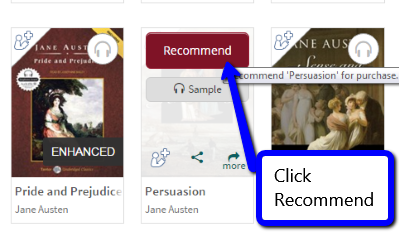 For help downloading audiobooks from Overdrive, consult this page. 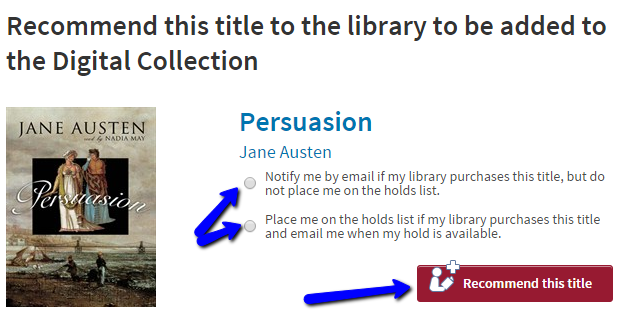 ...type in your DU ID and passcode, and select the notification option, then click "Recommend this title."